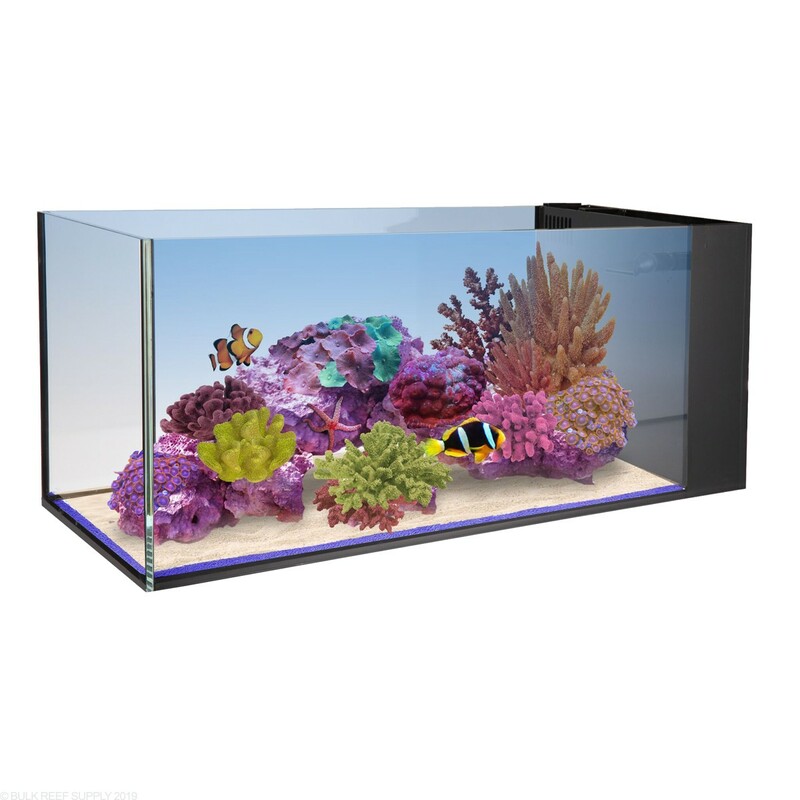 Bring depth and dimension to your living room, office or bedroom with the Innovative Marine Peninsula Aquarium. 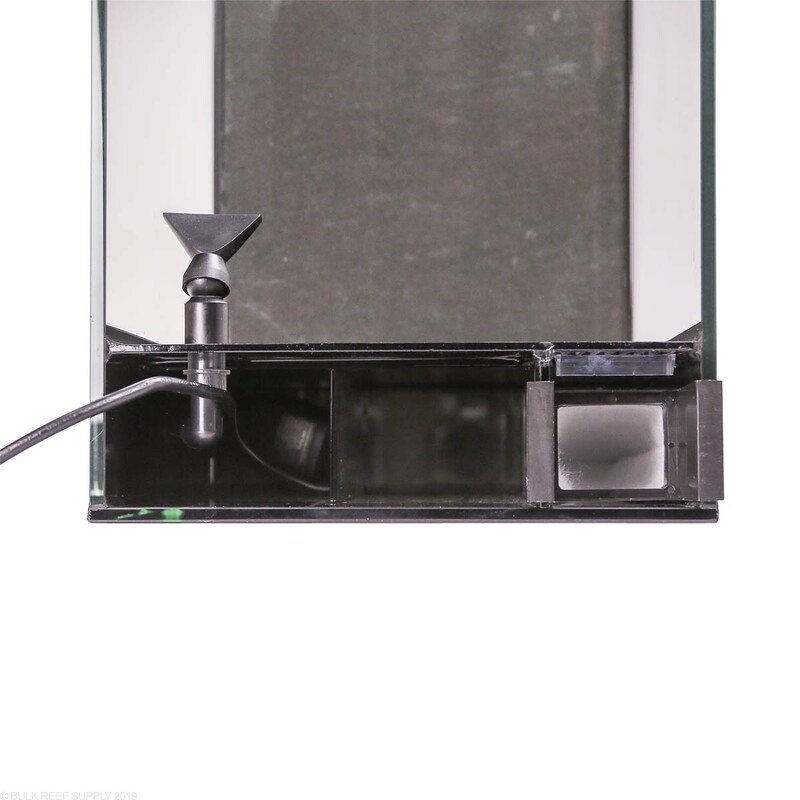 The flat polished, low iron glass lets you see through the glass like it is not even there and with the simple all in one filtration chamber maintenance is straightforward and clean. The Peninsula design brings a new dimension to reef keeping with new possibilities. Peninsula Aquariums unlock a whole new possibility of aquascapes and layout within the aquarium. The three-sided viewing experience gives you two long sides to spectate through, effectively doubling the viewing area. Use the tank to separate rooms, desktops, or other counter space bringing energy and life to any space. 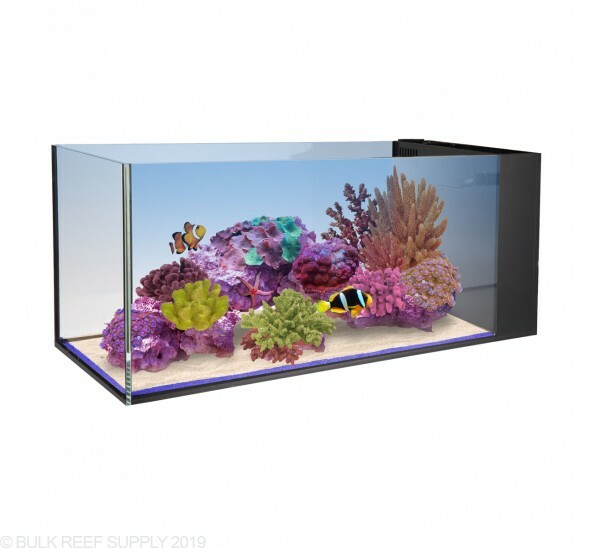 Just add your favorite lighting, heater, sand, and rock (we like using fiji or branch rock) to have a beautiful saltwater reef tank up and running in no time. 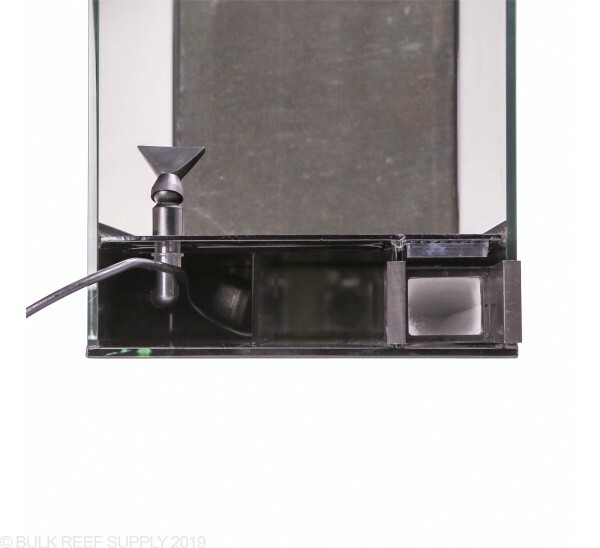 Water flows through the built-in surface skimming overflow into the included filter sock that will remove large free-floating particles, keeping them out of your return pump and other filtration components. Water then will flow through the skimmer/media reactor chamber and over the final baffle into the return pump compartment to be pushed back into the aquarium. 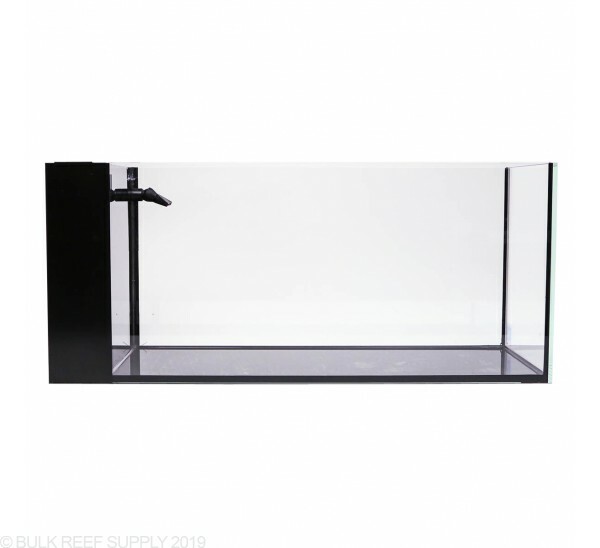 Adding a media reactor or protein skimmer will enhance your filtration and lets you tailor it to the specific corals or fish you will be keeping. The tank is nice, looks great, and is currently cycling. Two things to watch out for. The first, which earned it 4 stars is the pump is loud. This is an all in one, with no sump they should have known better than to put such a noisy pump right out in the open. The second thing I'm seeing is that water levels are pretty touchy. if you allow it to drop a very small amount it microbubbles. This amount was over night for me, and the tank isn't even heated yet. So get it, it's great, but know you are going to be purchasing a new return pump, and an ATO. I bought this as a replacement for a tank crash and tank break. I love it but I have to say that the AIO sump is small. I can fit an eheim thermostat small IM media reactor and and the TUNZE ATO float switch along with the return pump. For a little nano 20 gal peninsula its great but VERY compact. 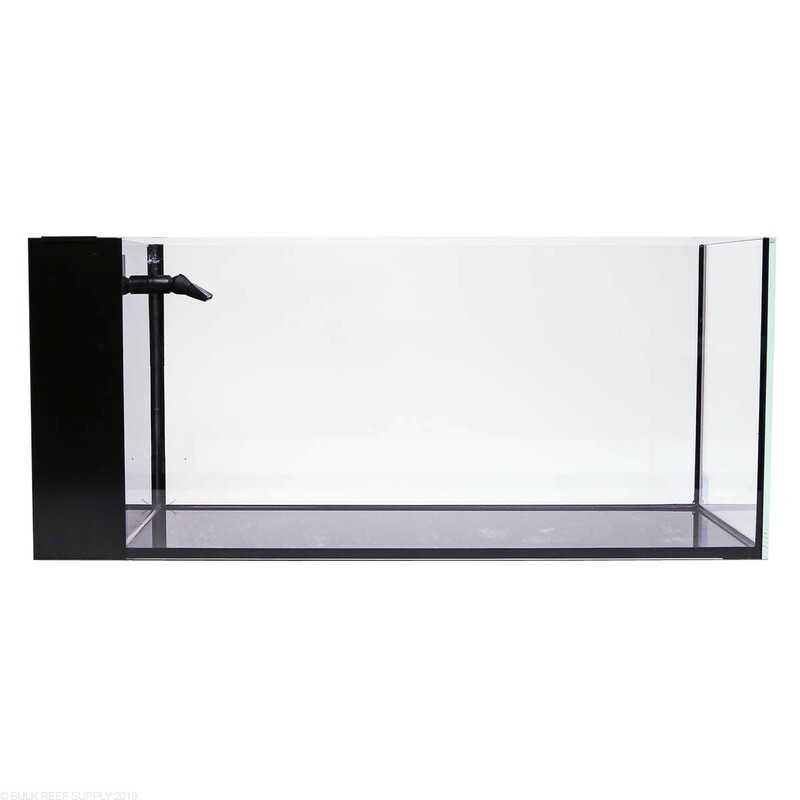 The Skimmer/Media Reactor Compartment on this tank measures 4" L x 2.75" W which means the Innovative Marine DeskTop Ghost Skimmer will fit. It's measurements are 3.58" x 2.28" x 9.84". 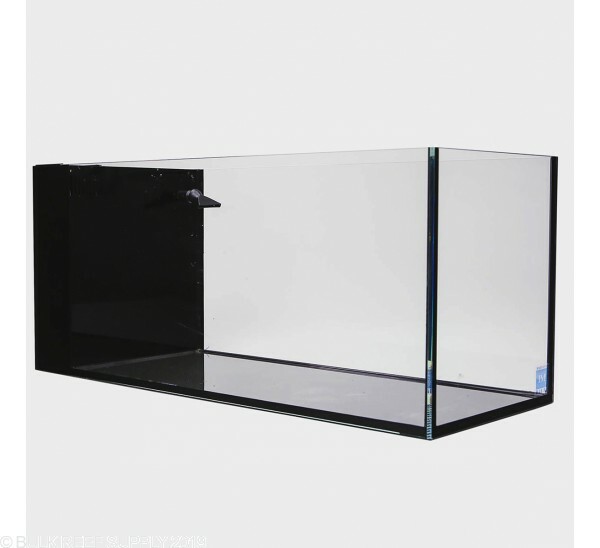 Hello, I've been interested in starting a saltwater tank for quite some time now, and I am still doing some research. Is the return pump the same or similar to a water pump to create flow for corals, or are they different? Will I need a separate water pump to create enough flow? In most cases, the return pump will be dedicated to cycling flow between the display tank and the sump. 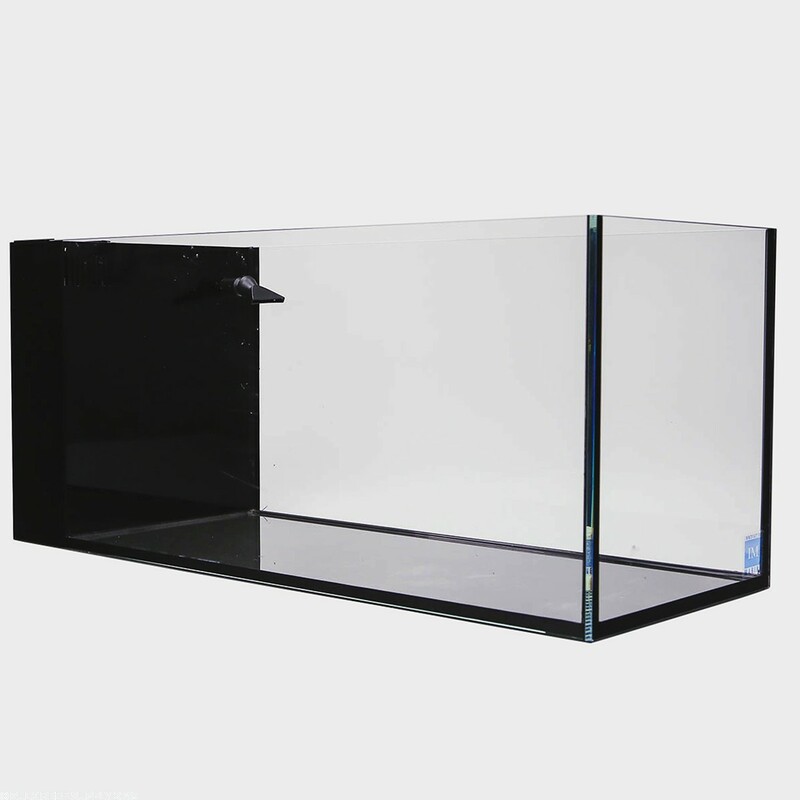 We recommend a 6-10x return rate per hour when compared to the display tanks size. Then depending on the type of tank you are going to keep, additional flow is usually required, and that is where powerheads come into play. The goal with powerheads is to create flow characteristics that your corals require while also eliminating dead spots throughout the tank.